Summer is coming to an end and kids are back to school. That happened fast, didn’t it? Thankfully, we are still experiencing nice weather and can spend most of our afternoons outside in the sunshine. I am still thinking of ways to make summer last a bit longer and enjoy the lazy, hot afternoons. One way we do that is with some special snacks after we finish our homeschooling for the day. Outshine Fruit Bars are a favorite snack around here, and for good reason. 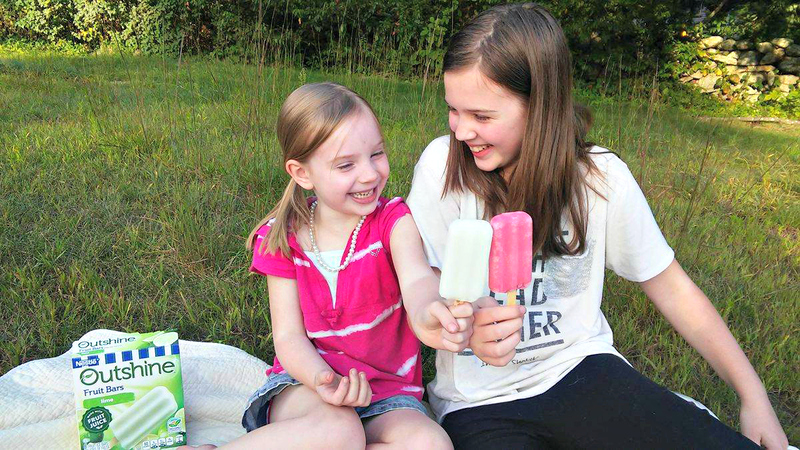 Outshine Fruit Bars are made with real fruit or fruit juice and No GMO ingredients! They use only fresh, healthy ingredients because they want us to “shine!” As a mom who is very conscious about the ingredients we use, I am so thankful for that! We keep them well stocked in our house! I love that I don’t have to worry about what my children are grabbing for an afternoon snack. And…as a very pregnant mama, I am happy to have a healthy frozen snack to cool off with this season! 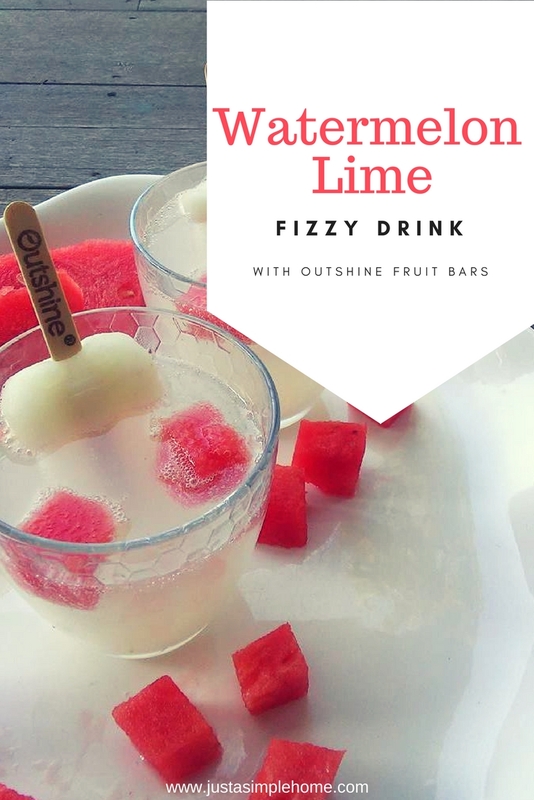 One way my children really enjoy their Outshine Fruit bars is by making what we call a “Fizzy Drink.” It is really so simple, but fun to make and they enjoy it. We just add some sparkling water to their glasses, chop some fresh fruit and add it, and then dunk their favorite flavor OutShine Fruit Bar into the glass! A favorite combination for my girls is Watermelon Lime and I have to agree! It really makes us think summer is still here! 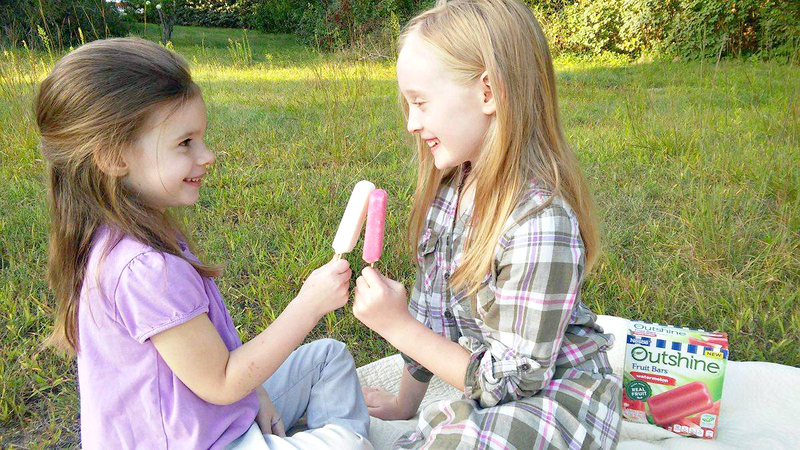 Of course, there are many afternoons where the girls just grab a Fruit Bar and run around outside….They have even made mini Outshine Fruit Bars for their dolls! Exactly how childhood should be, right? If you love Outshine Fruit Bars as much as we do, grab a coupon for 75 cents off RIGHT HERE and shine! Oh My!! This is going to be enjoyed today… I just bought a new box of Outshine bars (strawberry is my fave) and I do believe have some La Croix sparkling water sitting in my fridge. Thank you for putting this idea out there. My kids will also thank you. Oooo! I’ve never made anything like that before, but I am sure it’s delish! Watermelon is one of my all-time favorite fruits. Good idea to use the Outshine bars that way! Yum, that is a great idea to add the bar to a drink like that. Thanks for sharing. These look delicious!!! Will have to give them a try! This looks absolutely refreshing! I would love to bring this to the tailgate this weekend. What a clever idea for a drink! It’s great to hear that these fruit bars are healthy. It’s so hard to find convenient snacks that are also made with real ingredients! Dang these look so good! I’ll be making these tomorrow with my little man! Yum! This looks so refreshing:) I always haver a box of outshine bars in my freezer; I just love them. I cant wait to try this fun twist with them. Thanks for the great idea! These look amazing! A SUPER refreshing drink for summer! Or honestly any time of the year! What a cool idea. anything with lime is always good! Oh yum!! These look delicious!! Tasty!!! Looks so refreshing and good! I love this idea.